Panasonic has joined the mirrorless full-frame market with the introduction of the Panasonic Lumix S1 and Panasonic Lumix S1R. The Panasonic Lumix S1 has a 24.2MP full-frame sensor, 6-stop dual IS for stills/video and an electronic viewfinder with 5760K OLED display. The camera's 3.2-inch touchscreen features 2.1-million-dot resolution and is mounted on a triaxial tilt rear monitor that allows it to flip out. Video fans will be happy to hear that the Lumix S1 captures 4K video at 60/50p. The Panasonic Lumix S1R has almost the same specs as the S1 but it has a 47.3 Megapixel full-frame sensor instead of 24.2MP. They look pretty similar, too, with just the added red 'R' differentiating them. At the time of launch, there are just three native Panasonic lenses available. More are coming in the next couple of years, and you can also use Leica L mount lenses should you have any. For now, the three lenses comprise of a 24-105mm f/4 lens which you could describe as a kit lens, plus a 70-200mm f/2.8 and a 50mm f/1.4 lens. The latter two are "certified by Leica" and feel slightly more solid and robust than 24-105mm. The Panasonic Lumix S1R is priced at £3,399.99 (body only) and the Panasonic Lumix S1 is available for a little less at £2,199.99 (body only). If you want to add a 24-105mm lens, the price goes up to £4,199.99 and £2,999.99, respectively. Both cameras will be available from 18 March 2019. 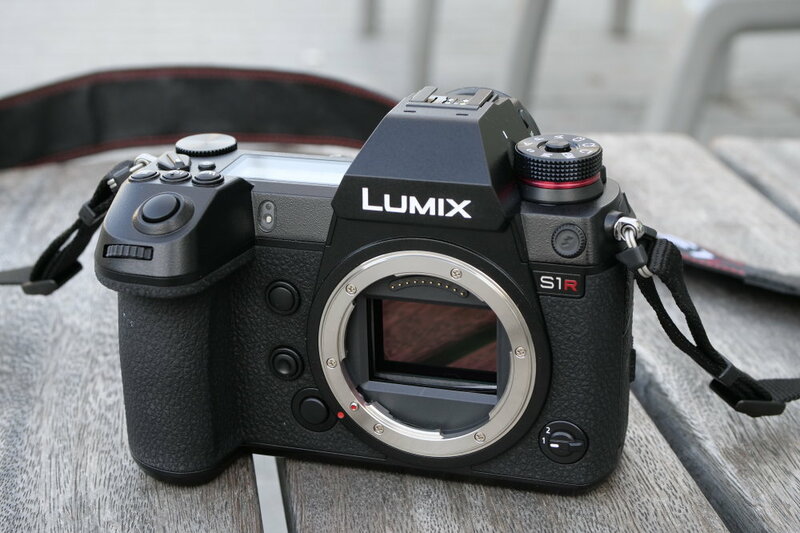 Using the S1 or S1R is very familiar to anyone who has used many of the Lumix mirrorless cameras in the past, particularly the G9 - in fact, it feels very much like a beefed up version of the G9, with a chunky handgrip and larger body to accommodate the full-frame sensor. The controls are, for the most part, arranged very sensibly. 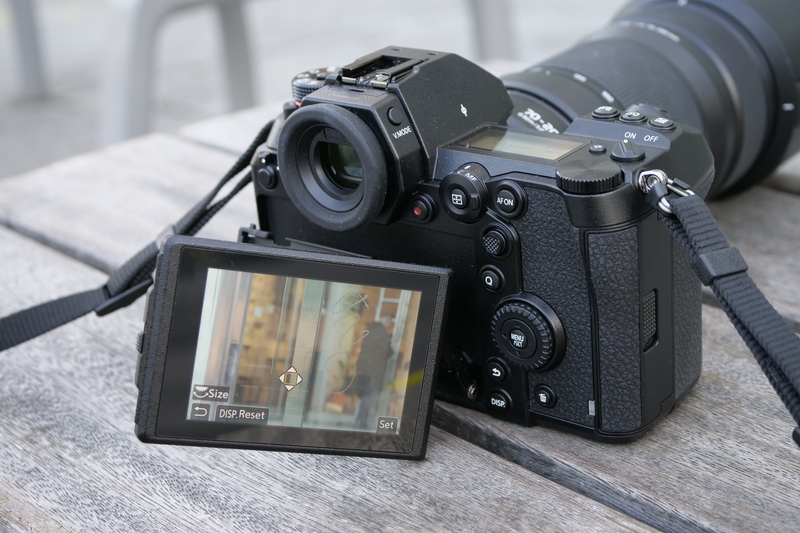 On the top of the camera, you have a front dial and the shutter release button, along with three buttons for directly accessing a few different key settings, such as ISO and white balance. There are dual dials which sit conveniently under your thumb and forefinger for changing certain settings – depending on the shooting mode, while the on/off switch is slightly awkwardly located just in front of the rear dial. 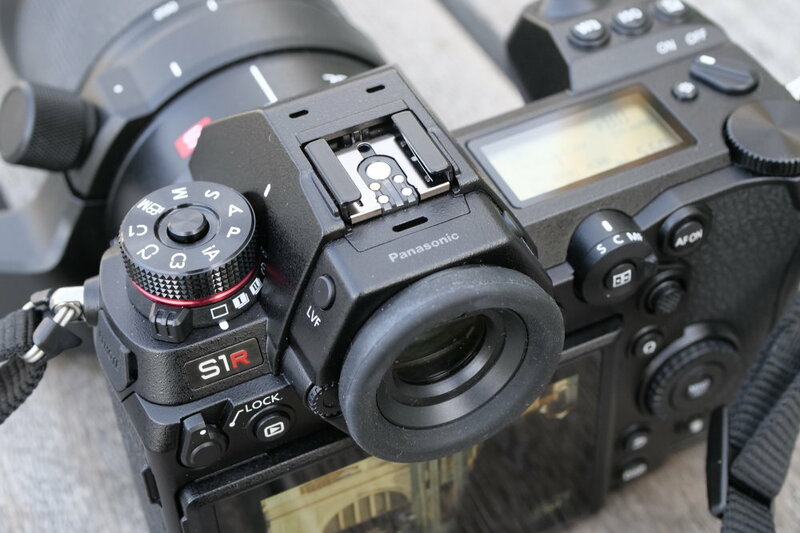 It’s not a huge problem, but it doesn’t feel as natural as the G9’s placing of the switch around the shutter release. 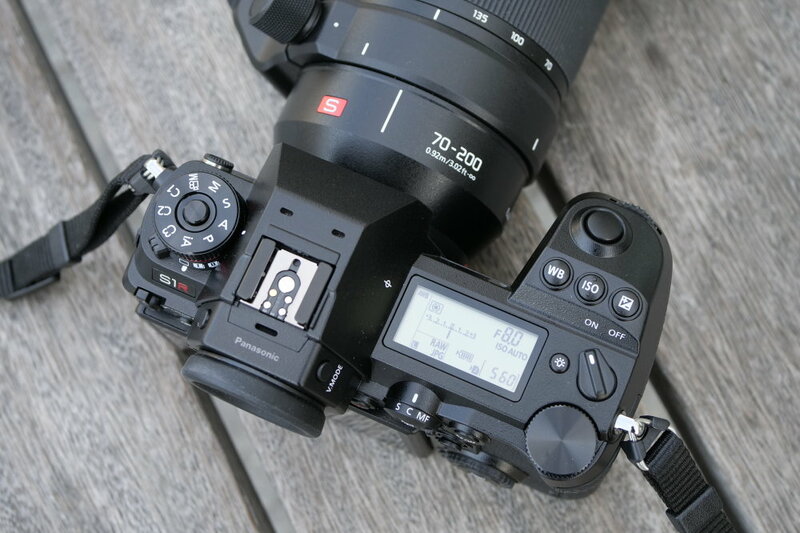 Other features of the top plate include an LCD screen which displays all your key settings, along with a mode dial which is lockable into place to prevent accidentally switching between modes when the camera is in a bag and so on. Moving to the back of the camera, there are even more handy dials and buttons to give you direct access control to a number of key settings. The AF mode button gives you the option to switch between the different AF modes available, including new functionality to detect certain subjects – such as animals and human figures. A joystick lever will be a familiar sight to lots of previous Lumix users, and it can be used to move focus points around the scene very quickly and easily. A handy new feature is that you can push in the joystick to switch between detected subjects in the frame – so for example, if you’re photographing a scene with two or three people in it, you can push in the joystick to alter the main focus between each of the faces as appropriate. Key settings can be easily accessed through the “Q” button which gets you to the quick menu. Here there are a number of frequently used settings, but you can change what you find in this menu depending on your shooting preferences. Other buttons making up the rear panel include a menu/set button, a scrolling wheel and the playback button. An operation lock lever can also be used to fix settings in place and remove the chance of accidental changes, while it can also be customized to only lock certain functions in place if you prefer. There are further buttons on the front of the camera surrounding the lens mount, including a function lever and the lens release button. Coincidentally, the Olympus CEO stated this week that sensor size is not the answer. Seems the m4/3 alliance is crumbling. Coincidentally, the Olympus CEO stated this week that sensor size is not the answer. Seems the m4/3 alliance is crumbling. In 1989 you could buy a 340MB hard disk for USD$ 1,800. Now in 2019 you can get a Samsung 2TB 970 EVO NVMe M.2 Internal SSD for USD$500. In 1980 you could buy a PC with 5¼ inch floppy drives. In 2019 you cannot buy a PC with 5¼ inch floppy drives, even if you want to. As technology improves and price differentials between formats drop and old formats die. Due to the need to streamline manufacturing processes, manufacturers need to consolidate the production lines to make the format that SELLS. The format that 95% of the mass market consumers want. That is why even in the film negative days, the old odd formats like 110, 126, 127, 220, photo disc and the fiasco APS (championed by Kodak, Fujifilm, Minolta, Nikon, Canon in 1996) fell by the wayside - long before the death of film. Lumix can see the death of Micro4/3 format coming. It is not because the M4/3 is no good. It is because other competing formats (full frame) are better and now have become cheap and affordable. The stark message is that in future full frame will become even more cheap and affordable. Manufacturers follow what the consumers want. Manufacturers cannot stake their company's future on the few odd professionals who insist they love Micro4/3 but who represent only 0.0001% of the camera market. In 1989 you could buy a 340MB hard disk for USD$ 1,800. Now in 2019 you can get a Samsung 2TB 970 EVO NVMe M.2 Internal SSD for USD$500. In 1980 you could buy a PC with 5¼ inch floppy drives. In 2019 you cannot buy a PC with 5¼ inch floppy drives, even if you want to. As technology improves and price differentials between formats drop and old formats die. Due to the need to streamline manufacturing processes, manufacturers need to consolidate the production lines to make the format that SELLS. The format that 95% of the mass market consumers want. That is why even in the film negative days, the old odd formats like 110, 126, 127, 220, photo disc and the fiasco APS (championed by Kodak, Fujifilm, Minolta, Nikon, Canon in 1996) fell by the wayside - long before the death of film. 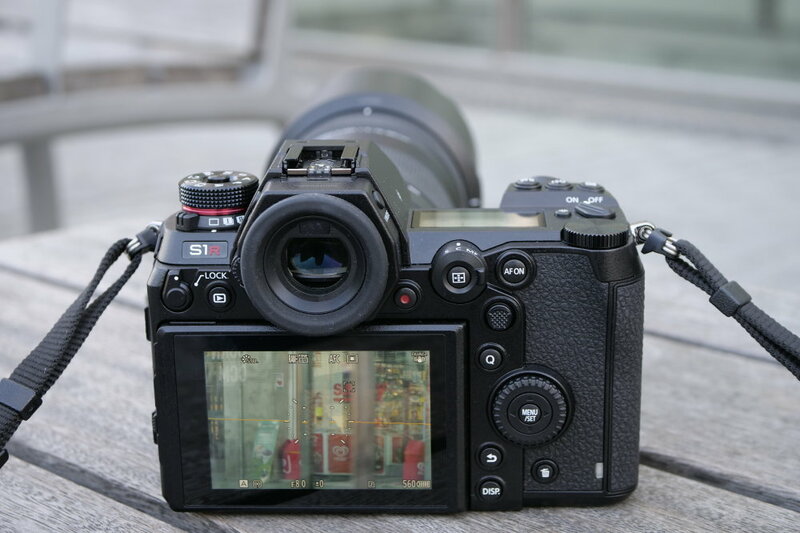 Lumix can see the death of Micro4/3 format coming. It is not because the M4/3 is no good. It is because other competing formats (full frame) are better and now have become cheap and affordable. The stark message is that in future full frame will become even more cheap and affordable. Manufacturers follow what the consumers want. Manufacturers cannot stake their company's future on the few odd professionals who insist they love Micro4/3 but who represent only 0.0001% of the camera market. @ricohflex: Well, that's a rather long-winded way of saying: "Hi there, my name is Nostradamus" ;-) This new Pana camera is anything but "cheap and affordable", BTW. @ricohflex: Well, that's a rather long-winded way of saying: "Hi there, my name is Nostradamus"
This new Pana camera is anything but "cheap and affordable", BTW. at these prices no wonder pound shops do well. to save wear and tear on my D500 I think ill buy a couple of d3500 so I don't have to keep changing lenses. Quote:In 1989 you could buy a 340MB hard disk for USD$ 1,800. Full-frame is taking a life-time to become 'cheap and affordable' - that's why I've an EOS 7D and not an EOS 5D!